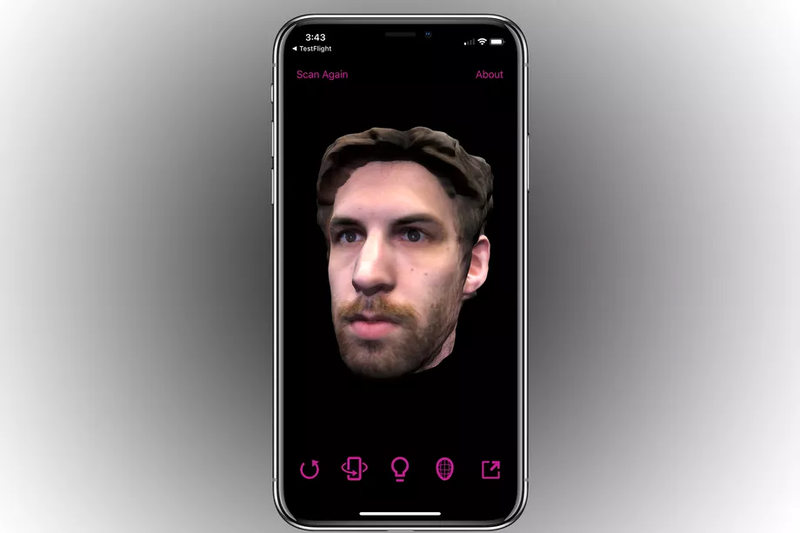 Bellus3D, the company behind the uncannily accurate, slightly creepy 3D selfie camera, is making the jump to the iPhone with a new app that will let you take its oddly realistic scans without any extra hardware. The company had previously announced at CES 2018 that it was finally releasing its face-scanning camera this year for $499. But with the release of the iPhone X, the company is taking things in a bit of a different direction by bundling its software into an iPhone app, removing the requirement for any expensive hardware required (other than the $999-plus smartphone, of course). The app is currently in beta — interested users can sign up for on Bellus3D’s website — with a full App Store release planned for later this year. As with Bellus3D’s previous demos, it's still impressive to see it in action, and it’s made all the more interesting by the fact that you don’t have to drop an extra $500 on a bespoke camera to use it. We had the chance to try out both the app and Bellus’s original hardware, things are pretty much the same here: you look at the camera lens on the phone and rotate your head to the left and right as it maps your face, capturing 250,000 data points to create the final image. It still struggles with things like hair or glasses, but otherwise, it basically does what it says on the can. Once done, you can rotate around the scan or export it to Facebook. The company is eventually planning to offer some way to export the actual 3D model for use in other applications in the future. But there are still a lot of questions about the new app, like how Bellus3D will actually make money off it or what developers will actually do with the technology now that they can make easy, accurate 3D scans. The company has spoken optimistically about applications like virtual makeup, game avatars, and more, but it remains to be seen if anyone will actually take advantage of what Bellus3D is offering.